If you want to get out of the hustle and bustle of Santiago and explore a more rural side to Chile, then there are a number of Atacama Desert towns to visit in Northern Chile. These towns will let you see a more traditional side of Chile and give you some amazing memories to take home. Here are some of the key towns you should include on any plan when visiting the Atacama Desert and the northern part of Chile. When visiting this part of the country, you will probably begin by flying into Calama. 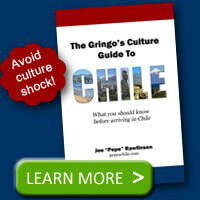 This city sits on the banks of Chile’s longest river, the Loa. 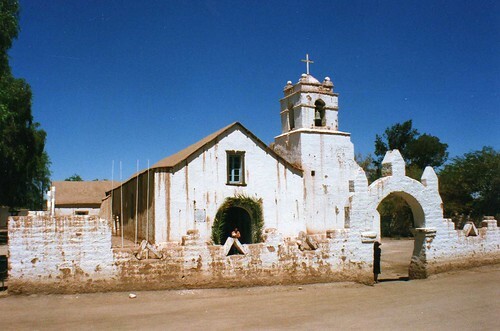 In order to really explore the area you are best to base yourself in San Pedro de Atacama, which is a quaint oasis town that offers you accommodations as you venture out to explore the surrounding area like Valley of the Moon or the Licancabur Volcano. Apart from these relatively common desert destinations, you may also wish to visit towns along the coast. Arica is very near the border with Peru and boasts numerous beaches and an annual surfing contest. Iquique has rich history including the famous battle of Iquique, which is now celebrated every May 21st in Chile. Antofagasta features the beautiful Portada Natural Monument, a stone arch sitting just off the coast in the blue waters of the Pacific Ocean. Staying in one of these Atacama desert towns will allow you to check out a whole host of things, including several archaeological sites as well as the La Silla and Paranal observatories. These are some of the largest telescopes in the world and they take advantage of the complete lack of artificial light in the area. The general history of the area links back to the Spanish conquest in the 16th century, so in each place you can expect to find traditional churches and buildings as well as a general slower pace of life. 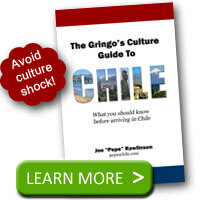 There may be a lack of rainfall in the area (the Atacama is the driest place on Earth), but traditional culture is certainly alive and kicking in the various towns mentioned above. Transport links between the various places tend to be quite good, even though they may be erratic. With careful planning, a trip into the desert and the surrounding sites should go without a hitch. Have you already visited the Atacama region in northern Chile? What were some of your favorite destinations?